Cambodian Children’s Fund transforms the country's most impoverished kids into tomorrow's leaders, by delivering education, family support and community development programs into the heart of Cambodia’s most impoverished communities. We are excited to partner with SUP ASIA to discover the magic of the Mekong River for the three day SUP (stand up paddleboard) portion of our adventure from Kratie. From the charming riverside town of Kratie and islands beyond, we will explore white sand beaches, flooded forests, paddle with the critically endangered Irrawaddy Dolphins, and support local communities and environmental conservation. Day 3: Meet in Kratie for breakfast at 8:30 a.m. Paddleboard around Koh Trong stopping for lunch and a bike ride around the island. Paddleboard back to Kratie for a Mekong sunset. Dinner and overnight in Kratie. Day 4: After breakfast in Kratie we travel to Koh Pdeau by van and ferry boat, visit the local community and have lunch then explore the dolphin pool on our SUPs , returning for a homestay dinner and overnight on the island. Day 5: Early breakfast and early start as we SUP from Kho Pdao to Kampi dolphin pool. 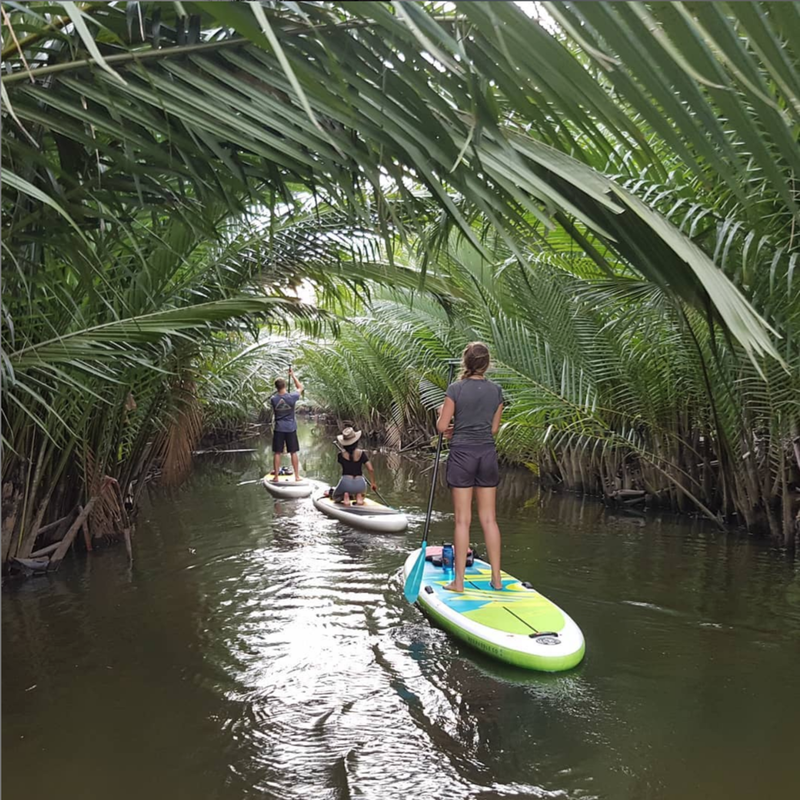 Along the way we paddle though a flooded forest, challenge a small rapid (option to transport around the rapid if this is too much adventure) and relax on our boards, spot dolphins and have a picnic on a white sand beach. Return to Kratie by van. Trip ends at 3 p.m.